Do you have learners who are ready to read? These alphabet emergent readers focus on a diffferent sight word for each letter of the alphabet. Plus, you’ll love the three different options! 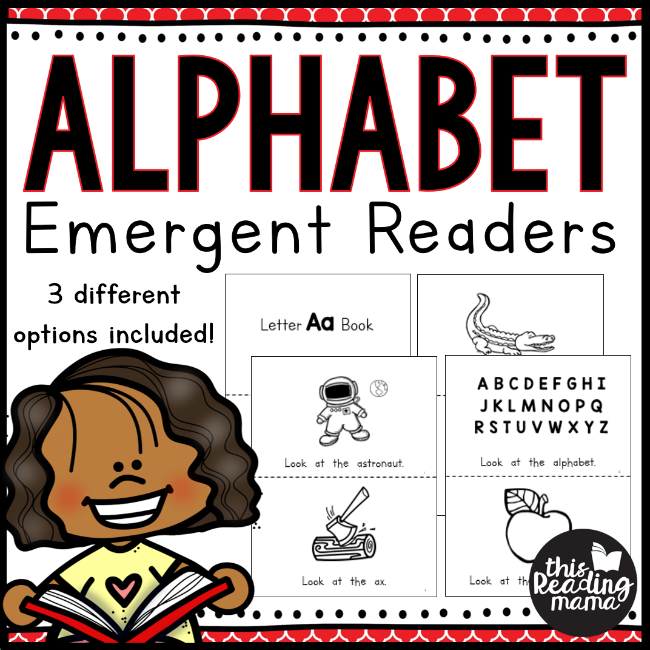 These alphabet emergent readers are a great way to review the alphabet and practice beginning sight words! 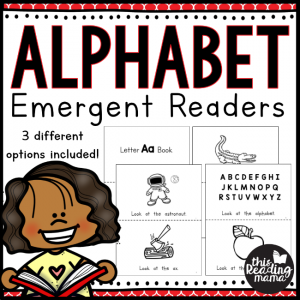 The black and white alphabet emergent readers come from our full emergent reading curriculum called Reading the Alphabet. 1. Single User Alphabet Emergent Readers: Just print, cut, and staple. These work best for just one learner. 2. 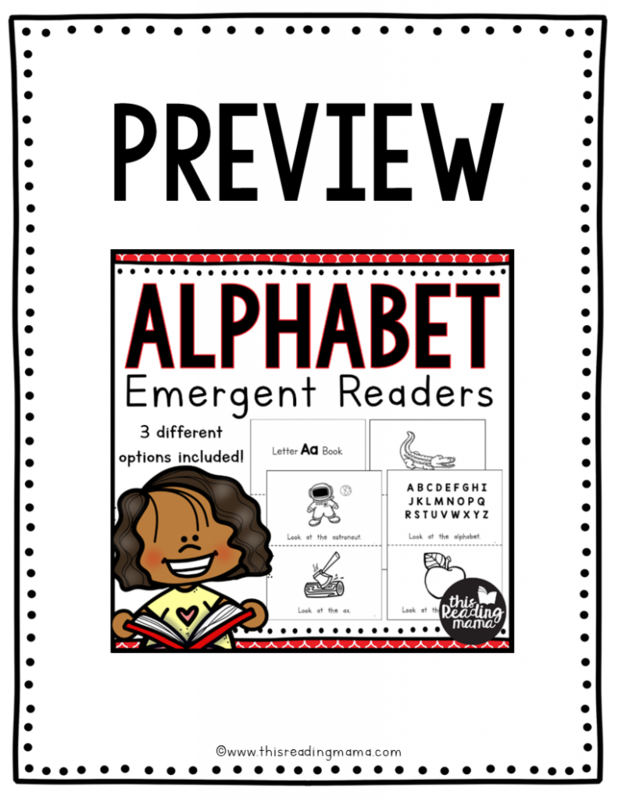 Multiple User Alphabet Emergent Readers: Each page is doubled up to make it easier to print, cut, and staple for a small group or whole group of emergent readers. 3. One-Page Readers: Each book is on just one page of text to save ink and paper. Learners may enjoy cutting the one-page reader into horizontal strips. Once cut, mix the strips out of order. Learners can re-read the book and glue the strips down in order on a piece of construction paper. The sight words included in these readers (listed in ABC order) are: a, am, and, at, big, can, down, for, go, he, I, in, is, it, little, look, me, my, not, see, that, the, to, up, we, and you. Click HERE or on the image above to see the Letter Aa preview. While you can most certainly read these in any order you’d like, you’ll find my suggested order on the back page of each reader. Just look for the part that says, “from Reading the Alphabet: Lesson #.” This is the order in which the books and sight words are presented in my full Reading the Alphabet curriculum. Note: Readers that match lessons 7, 14, 21, 26, and 31 are missing from this pack, as those are word family readers from Reading the Alphabet. *Please do not use hotmail or aol email addresses, as these older email servers cannot support the download links.